Daily, millions of crimes are reported across the globe. And, the police is liable to solve all the cases! This real life drama and action, in which cops are involved, is not a run-of-the-mill job. However, they encounter many difficulties in catching suspects like – different blockades are created at different places, all vehicles are stopped and checked, number plates are checked and then manually cross-checked from the database. Even, suspects are individually recognized and their identity is checked for verification. This whole process is quite time-consuming and annoying, but at the same time necessary too. Fortunately, technology has an answer to address such concerns. Cops are now relying on wearable technology like smart glass to get hold of suspects and ensure law enforcement is seamless. Leveraging the power of advanced technology like- Smart glass, cops can turn the tables. Using Smart Glass (Augmented reality device), police officers can easily find the suspicious thing, track cars on the move, get alerts whenever wanted criminals are around and much more! After recognizing the potential of wearable technology, law enforcement personnel in Dubai, New York, Byron, Georgia, and Rialto also used Google glass. The smart glasses look like a simple pair of glasses, but they actually are wearable computers that add more information to the reality. The internet connected glass accepts touch or voice command, projects digital images, video, audio and much more in real time. These hands-free devices connect everyone and let them do everything that they do with their smartphones. Why is Smart Glass the next big thing for law enforcement? Smart glass has extended the vision of cop’s eyes. With glass, police can identify you at a glance using facial recognition software. Currently, in USA, FBI is working on next generation identification facial recognition program wherein the central database has 13 millions of images which is expected to reach 52 million in near future. Police department by bringing facial recognition software and smart glass together, can empower their workforce to wear hi-tech glasses to recognize a person just by looking at him/her. Glass can scan the face of an individual, then check from the database and alert police that a suspect is criminal or not. Byron police tested eyewear in real world condition and at traffic stop found the driver to have an outstanding warrant and arrested her. It’s really quite tedious task to check every vehicle and then cross-verify with the computing system that vehicle is wanted or not. However, smart glass can make this quite handy as by looking at the vehicle, the complete information of it can be known and it can be easily detected whether the vehicle is wanted or not. Cops wearing glass simply look at the number plate of the vehicle; the glass scans the number and sends it to the server along with time, date and exact location. And, in a couple of seconds, vehicle database is checked and alert is made describing whether the vehicle is wanted or not. At times, police might miss hidden gun or a person during identification or get stuck in a situation wherein they need to defuse the bomb about which they are completely unaware of. In such cases, smart glass proves to be a blessing. Backup support can be provided to the cops from the central location as video streaming live through the eyewear of cops is monitored there. Cops are immediately alerted with the prompt message if they miss out on something during searching. Even, experts at headquarters can guide them how to disarm a bomb along with watching how the officer is doing. This way the situation can be monitored and remote expert guidance can be provided. In critical situations, patrolling becomes absolutely essential. However, those people constantly need to update the concerned person regarding the situation. This might affect their focus and it may prove to be fatal in emergency situations. It lets officers monitor current situation and manage the data transfer without even lifting their finger. 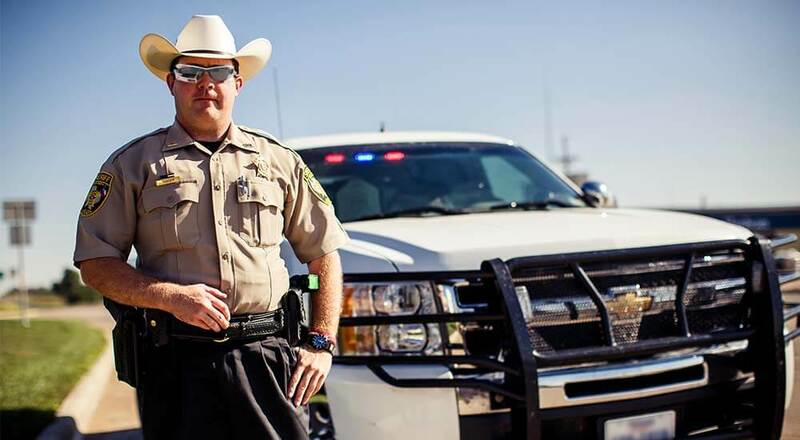 Smart glass has reshaped the law enforcement landscape. It has brought never seen before transparency levels and helped ease out operations. Also, when people know everything is being recorded, they think twice before doing anything wrong or suspicious. Digital glasses, indeed, are helping transform every aspect of our lives. If you have come across any such uses of smart glass in the law enforcement space, please share in the comments below.